On March 21, U of T held the True Blue Expo, the capstone event of Entrepreneurship Week. 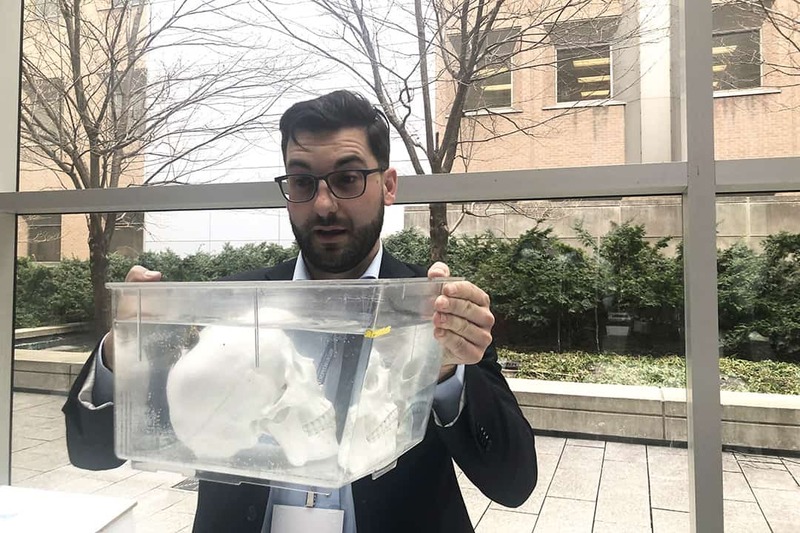 Hosted in the MaRS Discovery District, over 60 startups had the opportunity to showcase their work, while businesses and the public were given the opportunity to network with some great startups. Ever gotten sick and found yourself in need of a walk-in appointment? 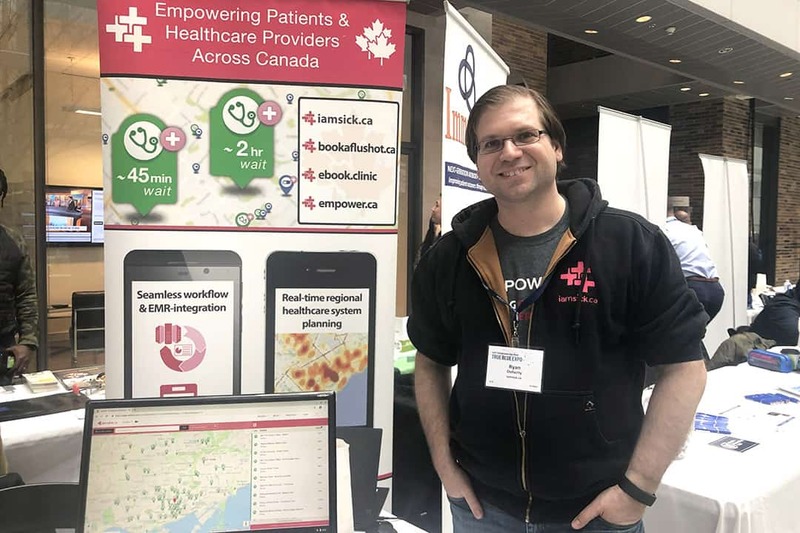 Empower Health, formerly known as iamsick.ca, aims to reduce the hassle of phoning numerous clinics with inquiries for walk-in hours by aggregating a database. The app hosting the database will help patients see wait times for clinics, as waiting for an available slot at some clinics can take hours. Weav uses automated logistic payments and other systems to facilitate the carpooling process. With a growing immigrant population within Toronto, some may find it difficult to communicate their symptoms to their doctors, which could lead to negative outcomes or inadequate health care provisioning. This is where Health-Bridge comes in. Its mission is to bridge the language barriers between health care professionals and their patients. Despite numerous successes and accolades, especially for founder Haman Mamdouhi, who won the Young Entrepreneur Pitch Competition last summer and was subsequently selected for the prestigious NEXT Canada program as one of the top 36 entrepreneurs across Canada, the team is most proud of its start in the U of T entrepreneurship community. “We really learned first that we could be entrepreneurs here at [the] University of Toronto. Creating sustainable impact is more accessible than ever,” said Mamdouhi. With the support of U of T, the team has developed digital image-based methods in several languages to help patients describe their symptoms accurately. As an urban dweller, it might seem like a struggle to get your hands on fresh, affordable, and pesticide-free produce year-round. Just Vertical helps address that problem by introducing the concept of indoor hydroponic farming. In the future, they plan to integrate hydroponic growing in other pieces of furniture, such as tabletops and even couches, as well as to develop an app that will let users — who may have not-so-green thumbs — know when to water their plants. Craniomaxillofacial fracture surgeries — which relate to fractures around the face and head area — rely on plate and screw methods that tend to result in complications over 40 per cent of the time. Cohesys hopes to reduce complications, lessen surgery hours, and reduce operating room costs through an adhesive tape. Founded by Michael Floros, Cohesys oversees the management of BoneTape, a “non-toxic and resorbable polymer with a biodegradable adhesive on it.” The resorbable aspect of the adhesive will reduce the amount of recurring future problems that patients may have with conventional titanium bone and screw methods, such as facial sensitivities. Support from U of T incubators UTEST and the Creative Destruction Lab has helped Cohesys reach the product stage. Entrepreneurship Week took place last week at the MaRS Discovery District and showcased the thriving entrepreneurial ecosystem at U of T. Attendees were treated to the Startup Showcase, which highlighted emerging companies; a talk by Arlene Dickinson of Dragons’ Den; and the RBC Pitch Competition. Damen also emphasized the importance of featuring startups by students from non-traditional backgrounds and encouraging these students to pursue social entrepreneurship. The showcase featured 70 startups working in artificial intelligence, regenerative medicine, health sciences, clean technology, and advanced manufacturing. Below are some notable ventures, many of which offer opportunities for students. Imagine if your grandmother, who doesn’t speak a word of English, fell down and broke her hip. You are able to call an ambulance to her house, but cannot make it there in time to translate for the paramedics. 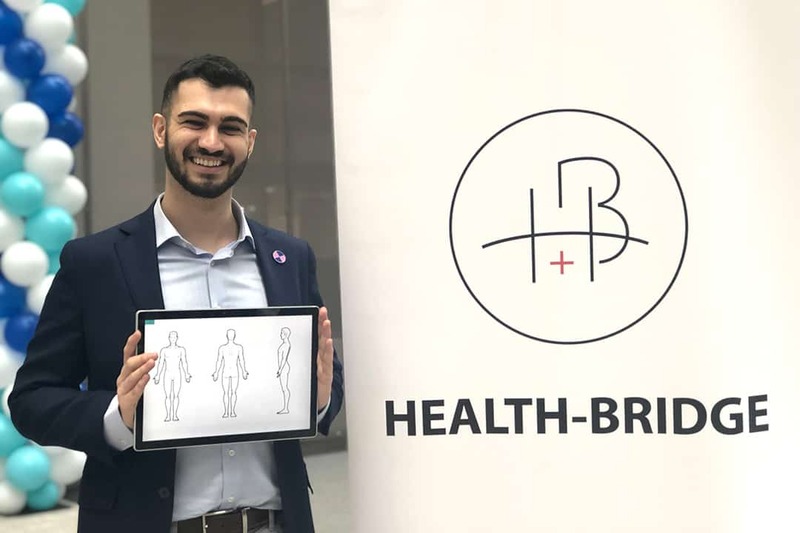 Enter Health-Bridge, an image based diagnostic tool for non-English speaking patients, founded by Haman Mamdouhi and his team with the goal of eliminating the language barrier in healthcare. Originally based out of the Entrepreneurship Hatchery, they placed first at UofT’s Healthy Generation Fund and Next Canada Startup Sprint. Most recently, they were named one of 12 finalists for Enactus Canada’s student entrepreneurship competition. They are currently looking to bring on passionate students with a background in computer science, mobile development, and graphic design. Have you ever left the hospital unclear on how to take care of yourself? You’re not alone. This happened to Dash MD co-founder Zack Fisch-Rothbart after he broke his leg in two places. He was handed a stack of pamphlets while leaving the hospital but was unclear on exactly what he needed to do to get better. Three weeks later, he was back in the ER with compartment syndrome from his cast being too tight. Dash MD is run by Fisch-Rothbart, Cory Blumenfeld, Simon Bromberg, and Rob Iaboni. Their goal is to help other patients avoid falling through the cracks of the health-care system by providing resources to help manage their aftercare journey. 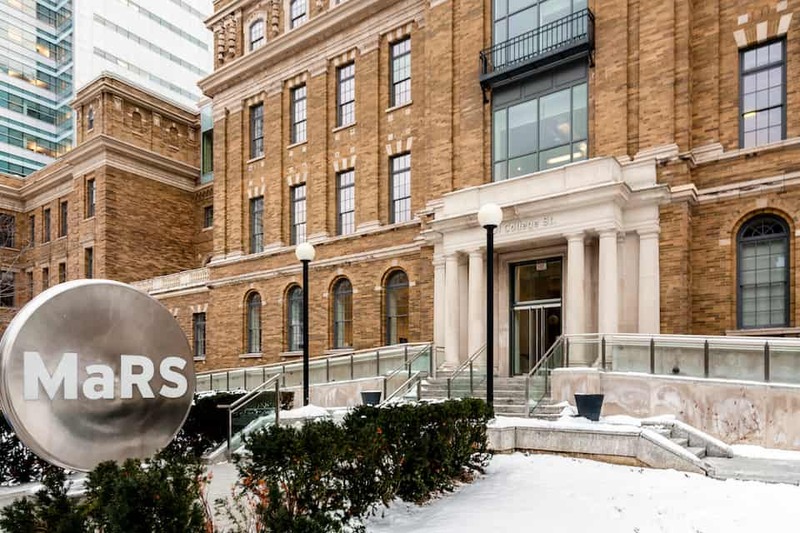 In the upcoming month, they will be partnering with a big player in the Ontario health space. The startup is also currently hiring front-end, back-end, iOS, and Android developers, as well as designers. When choreographers are creating a dance routine, they often draw up ideas on paper and then meet up with dancers for long practice sessions. StageKeep was founded by William Mak and Axel Villamil to make this process more efficient by digitizing the planning and communication aspects of these routines. Villamil, a dancer himself, often found it difficult to meet with a full team for long hours and found it expensive to book studio hours. 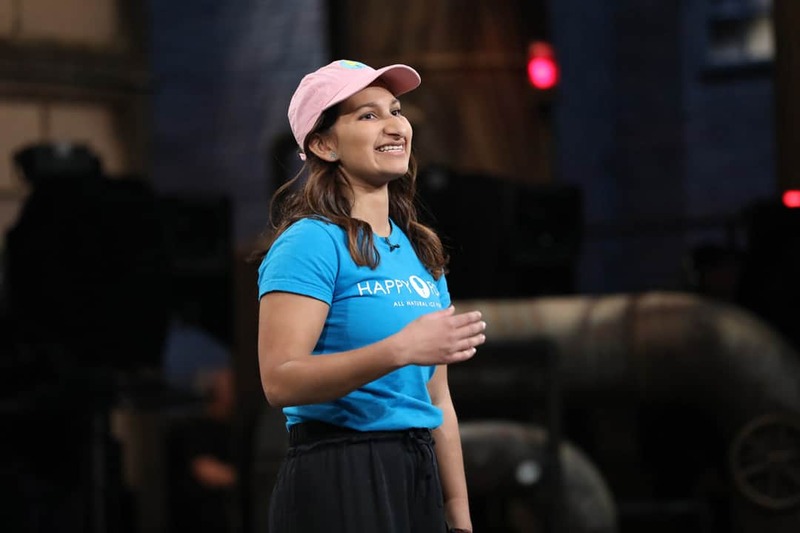 The app — currently available on the Google Play Store — allows dancers to come to rehearsals better prepared, helps choreographers save time, and shows directors how to save money. In the last decade, many biomedical labs have adopted high-content screening, a method that uses automated microscopes to image cells exposed to thousands of different drugs. A downside of this method, however, is that it can take months to sift through the data and analyze it. Phenomic AI automates this tedious process for researchers and professionals employing a deep-learning based platform that analyzes all the imaging data. Phenomic AI has been featured in The Guardian, and its team members have also discussed the technology with Prime Minister Trudeau. They plan to announce pilot projects with major industry partners in the near future, and are currently looking for members to join their their data science and software teams. 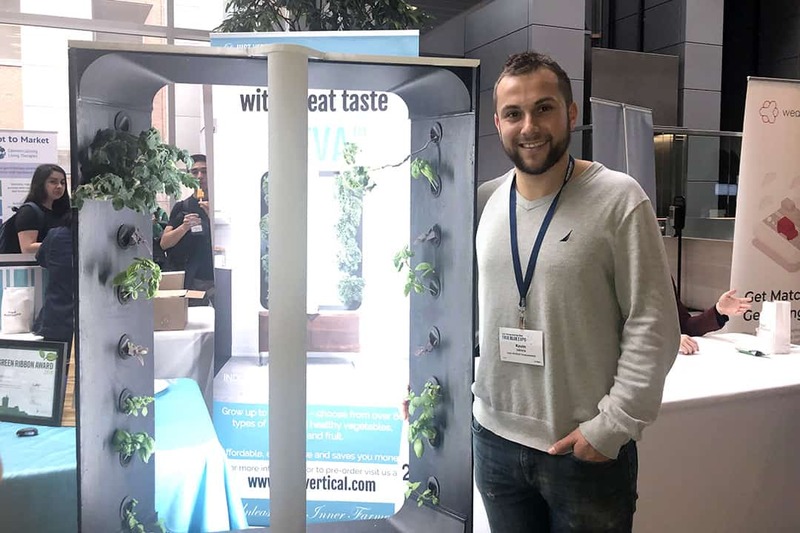 Just Vertical — founded by U of T Masters of Science graduates Conner Tid and Kevin Jakiela — produces vertical hydroponic growing systems that can be easily stored, supply their own light, and are 95–99 per cent more water efficient than regular soil-based growing techniques. This startup is a environmentally sound and space efficient solution for those living in condos or apartments that do not have the space to grow plants. Next month, the startup plans to sell new models of the system made of bamboo composite — an environmentally friendly and cost-effective alternative to plastic. 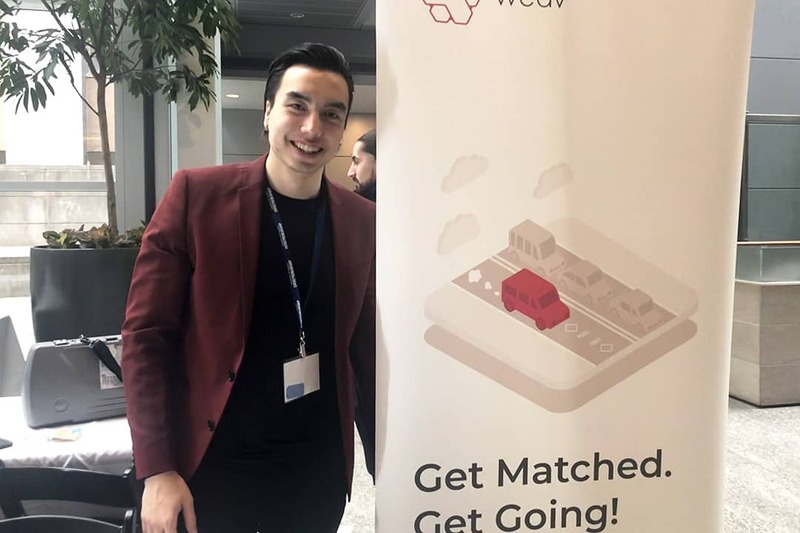 Hatchery Alumnus XPAN was awarded the RBC Prize for Innovation and Entrepreneurship, and Hatchery NEST 2018 team VECO won the People’s Choice Award.